Lawyers at the top rated Joe Griffith Law Firm have a wealth of experience in the legal areas of health care fraud and white collar criminal law. Our attorneys are located in Charleston and Mt. Pleasant, South Carolina, and devote 100% of their practices to litigation. White collar criminal defense and health care fraud litigation are a major focus of our practice. Lead by former federal prosecutor Joseph P. Griffith, Jr., the Joe Griffith Law Firm is designated as an AV rated firm by the prestigious Martindale-Hubbell® attorney rating company, signifying the highest possible ranking for legal ability and ethics as judged by peers in the legal profession. Every attorney at our firm is dedicated to providing outstanding legal service to each of our clients and will fight to protect them to the fullest extent allowable under the law. Client satisfaction is our number one goal. A white collar crime is a serious offense in South Carolina and throughout the United States (“US”). 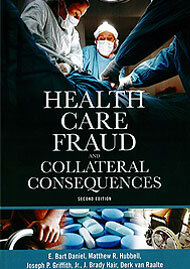 A white collar federal health care fraud criminal conviction can have life altering consequences. If you or your company are being investigated for, or have been indicted or otherwise charged with, the crime of health care fraud, you should immediately contact the Joe Griffith Law Firm for a free consultation. Health care fraud has become a major focus of federal and state government prosecution efforts. The renewed emphasis on health care fraud prosecutions coincided with the passage of the Health Insurance Portability and Accountability Act of 1996 (“HIPAA”), which created a separate federal health care fraud offense and specifically funded the Department of Health and Human Services (“HHS”) and the Federal Bureau of Investigations (“FBI”) to target health care fraud crimes. It has been estimated that approximately two trillion dollars are now spent on health care in the United States annually, and as much as 10% of this amount has been attributed to fraudulent activities. According to the South Carolina Attorney General’s office, the state spends about $2.7 billion on Medicaid each year, and annually loses approximately $270 million to fraud. The deliberate performance of medically unnecessary services for the purpose of financial gain. Health care fraud violations may be prosecuted as a criminal case, civil case, and/or an administrative case. The government has the discretion to determine which option to pursue. The criminal, civil and administrative remedies available to the government are not mutually exclusive. It is not unusual to see the government try to convict an individual to put him in prison, bring a civil suit for treble damages and forfeiture of the defendant’s assets, and pursue exclusion or debarment proceedings to preclude the defendant’s future participation in government sponsored health care programs. The above Principles of Federal Prosecution are primarily focused upon an individual target as opposed to a putative corporate defendant. On December 12, 2006, Deputy Attorney General Paul J. McNulty issued a Department of Justice (“DOJ”) memorandum entitled “Principles of Federal Prosecution of Business Organizations” (the “McNulty Memo”) as a supplement to those principles of federal prosecution set forth in the U.S. Attorney’s Manual. The McNulty Memo supersedes two prior memorandums addressing the subject of corporate prosecutions. Deputy Attorney General Larry D. Thompson’s memorandum, dated January 20, 2003, was also entitled “Principles of Federal Prosecution of Business Organizations” (the “Thompson Memo”). Associate Attorney General Robert D. McCallum, Jr.’s memorandum, dated October 21, 2005, was entitled “Waiver of Corporate Attorney-Client and Work Product Protections” (the McCallum Memo”). 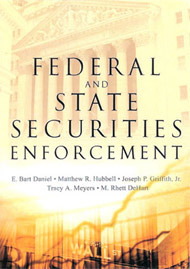 the adequacy of remedies such as civil or regulatory enforcement actions. DOJ policy shifts announced in the McNulty Memo were significant in two respects. First, federal prosecutors must now obtain written approval before seeking a waiver of the attorney-client privilege and work product protection. Prosecutors must first establish a legitimate need for privileged information, and then must seek approval before they can request it. When federal prosecutors seek privileged attorney-client communications or legal advice from a company, the U.S. Attorney must obtain written approval from the Deputy Attorney General. When prosecutors seek privileged factual information from a company, such as facts uncovered in a company’s internal investigation of corporate misconduct, prosecutors must seek the approval of their U.S. Attorney. The U.S. Attorney must then consult with the Assistant Attorney General of the Criminal Division before approving these requests. Attorney-client communications should be sought by prosecutors only in rare circumstances, and if a corporation chooses not to provide attorney-client communications after the government makes the request, prosecutors have been directed not to consider that declination against the corporation in their charging decisions. Second, prosecutors generally may not consider a corporation’s payment of legal fees to employees in determining a company’s cooperation, except in rare circumstances when it can be shown that such fees, combined with other significant facts, were part of a deliberate design to impede the government’s investigation. Thus, given the principles of federal prosecution set forth in the U.S. Attorney’s Manual and the McNulty Memo, great care must be taken in defending the corporate client which becomes subjected to a health care fraud investigation or criminal charge. The timing for hiring a criminal defense attorney or law firm is unpredictable. An employee may report being questioned by a federal investigator, a CEO or other officer may be present when a search warrant is about to be executed, or in-house counsel may be served with a grand jury subpoena requesting the production of company documents. Many tactical decisions must be made which may affect the final outcome of the case. Employees must be advised of their rights in responding to government investigators with care to avoid obstruction of justice, tampering or destroying evidence, or similar types of charges. Oftentimes, companies get in criminal harm’s way due to the actions taken in response to an investigation rather than the alleged wrongdoing which jump-started the investigation. Once criminal defense counsel is retained for the corporation, an assessment will have to be made regarding the need for the company to hire additional, separate counsel for individuals employed by the company who have been, or are likely to be, identified by the government as subjects or targets of the investigation. Ethical conflicts of interest inevitably preclude joint representation of the corporation and such employees by one attorney. Such conflicts quickly become apparent. Employers are likely to shun or “give up” a rogue employee to the government, whereas employees are often approached by the government and asked to testify against, or “dime out,” the corporate employer. Corporate counsel must also determine whether or not to execute a joint defense agreement (“JDA”) with individual counsel, conduct an internal investigation, voluntarily disclose information to the government, and waive attorney-client and attorney work product privileges. A written JDA is preferable because it can clearly delineate expectations between the parties, and, in the event of a dispute, provides the court a clear means to resolve any such dispute. However, the courts have recognized the existence of a joint defense privilege even without the existence of a written JDA. The voluntary disclosure decision is complicated by the mandatory disclosures required by federal statute. 42 USC § 1320a-7b(a)(3) makes it a felony if anyone “having knowledge of the occurrence of any event affecting (A) his initial or continued right to any such benefit or payment, or (B) the initial or continued right to any such benefit or payment of any other individual in whose behalf he has applied for or is receiving such benefit or payment, conceals or fails to disclose such event with an intent fraudulently to secure such benefit or payment either in a greater amount or quantity than is due or when no such benefit or payment is authorized[. ]” Corporate counsel must be cognizant of obtaining information which is subject to mandatory disclosure provisions, and should be aware of the benefits of timely voluntary disclosures which may mitigate the penalties under the Sentencing Guidelines in the event of a conviction. Once a potential corporate health care fraud case has been discovered, an internal investigation should begin immediately. In publicly traded corporations, the oversight for such investigations will usually be assigned to a special committee. It is highly recommended that the corporation obtain separate defense counsel to conduct the investigation. Defense counsel can conduct its investigation under the cloak of attorney-client and work product privileges, as well as any self-evaluation privilege that may be available. All relevant employees should be interviewed, and all pertinent documents gathered and reviewed, with a keen eye for documents, particularly e-mails, which may be subject to attorney client privilege. If corporate privileges are not going to be waived, a log of privileged documents must be created. Care should be taken to inform the corporation and its employees to not destroy any evidence which is the subject of the investigation. Employees must be told that corporate defense counsel is the corporation’s attorney and not the employees’ attorney, and that the corporation holds the attorney-client privilege. Employees should be advised of their right to not talk to the corporate or government attorney, and of their right to obtain separate counsel. Counsel should not mislead the employees in any way in order to avoid any obstruction of justice allegations. A second person, such as an investigator or another lawyer, should always attend employees’ interviews, and the interviews should only be memorialized in a memorandum by the investigating attorney in order to preserve the privileged status of same. In many cases, the corporate client determines to waive any privileges and fully cooperate with the government in its parallel investigation. Sometimes, the government will agree to limit the scope of any waivers by the corporation. However, counsel should be aware that such partial or limited waivers are not universally recognized by the courts, and may constitute a complete waiver of all such privileged materials. In defending health care fraud cases, the practitioner should be aware of statutory exemptions to prosecution which may be available. The Antikickback statute provides four statutory exemptions to prosecutions, i.e., referrals from employees, certain discounts, certain group purchasing arrangements, and certain waivers of co-insurance payments. Likewise, there are a number of regulatory safe harbors to avoid Antikickback criminal prosecutions or civil Stark violations as well. HHS and the DOJ publish an annual report of the Health Care Fraud and Abuse Control Program established by HIPAA. The annual report for fiscal year 2005 notes that U.S. Attorney’s offices across the nation had 1,689 health care fraud criminal matters pending in 2005, involving 2,670 defendants. Criminal charges were filed in 382 cases involving 652 defendants, and 523 convictions were obtained. Some of the more prominent cases resolved in 2005 and 2006 can be found here: Health Care Fraud Cases in 2005 and 2006. The Joe Griffith Law Firm is a Charleston, SC law firm that concentrates in white collar criminal litigation and health care fraud. We represent those accused of criminal misdemeanors and/or felonies in a variety of state and federal proceedings including, but not limited to, initial appearances, preliminary hearings, bond hearings, trials, sentencing hearings, parole hearings, probation hearings, and appeals. We represent those designated “witnesses,” “subjects” or “targets” of grand jury criminal investigations, and have the experience to know when to assert 5th Amendment rights, make effective “proffer” statements, or demand immunity from government prosecutors. We are extremely effective in conducting pre-indictment investigations to gather and analyze evidence in order to make factual and legal presentations to prosecutors in an effort to persuade them to issue a declination whereby they agree to not indict a person or company under criminal investigation. We have been successful in having investigations declined pre-indictment. In the event of an indictment or other criminal charge, our attorneys stand ready to fight for our client and protect his or her legal rights to the fullest extent of the law. If you or your company have received a subject letter or target letter naming you as a subject or target of an alleged health care fraud crime, have been served with a search warrant or grand jury subpoena, or have been charged in a criminal complaint or an indictment with the white collar crime of health care fraud, contact the Joe Griffith Law Firm immediately to discuss your legal rights.